Nokia 710 is probably an upcoming Windows Phone Mango or Symbian OS running handset. We are not sure about the operating system of this handset as this new Nokia Phone is listed with Maemo OS which has already dumped. So there is a possibility that Nokia notified this OS with the intention to keep the real OS information under loakc and key. 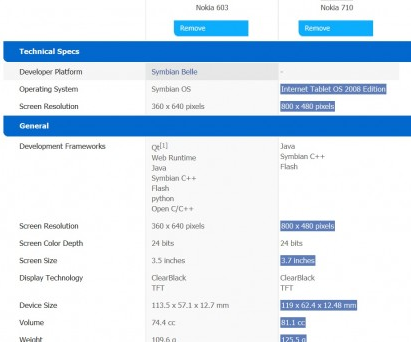 Nokia 710 has just appeared on the company’s website along with its impressive specs. So have a look! You know very well that Nokia World is coming soon so we will be able to see the launch of Nokia 701 by the end of this month and this handset will available for purchase in November.